Xperia TX - big in Texas? The Sony Xperia TX could be the international face of the Xperia GX, which has only been available in Japan up till now. 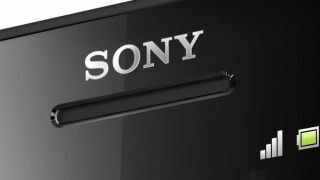 This latest Sony handset has previously leaked online under the moniker LT29i and Hayabusa, but a fresh report from a "trusted" Xperia Blog source suggests the handset will come to the worldwide market as the Xperia TX. Rumoured to pack a 4.6-inch HD display, dual-core processor, 1GB of RAM, Ice Cream Sandwich, 13MP camera and super-slim 7mm battery – the Sony Xperia TX is very similar to the much-leaked Xperia T.
With the Xperia TX and Xperia T so closely matched in terms of specifications, it will be interesting to see how Sony plans to approach the marketing of these handsets - with the handsets possibly destined for different territories. The Xperia TX, if leaked shots are to be believed, sports the style of the old Sony Ericssons – with its curved back similar to that found on the Xperia Arc S, while the Xperia T follows Sony's newer design ethos, which we've seen on the Xperia S and co.
All our questions will hopefully be answered at the end of the month, when we jet off to Berlin for IFA 2012 and find out what Sony has to say about its latest handsets.